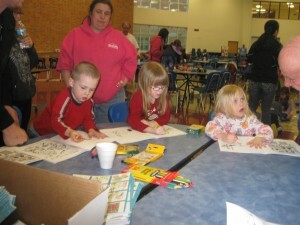 These 4 year olds continue their learning with coloring books that show Arab cultures. The kids are very serious about their work. Spring 2014 brought part of our traveling display to Wisconsin’s 4 year-old kindergartens. I was surprised by this opportunity since we have not offered programming to preschoolers in the past. Still, when opportunity knocks, here we come. Although most of these young students do not read, they were able to see our picture stories of “Children in the Arab World display. Many of these delightful kids were willing to try on traditional Arab clothing and they liked what they saw. 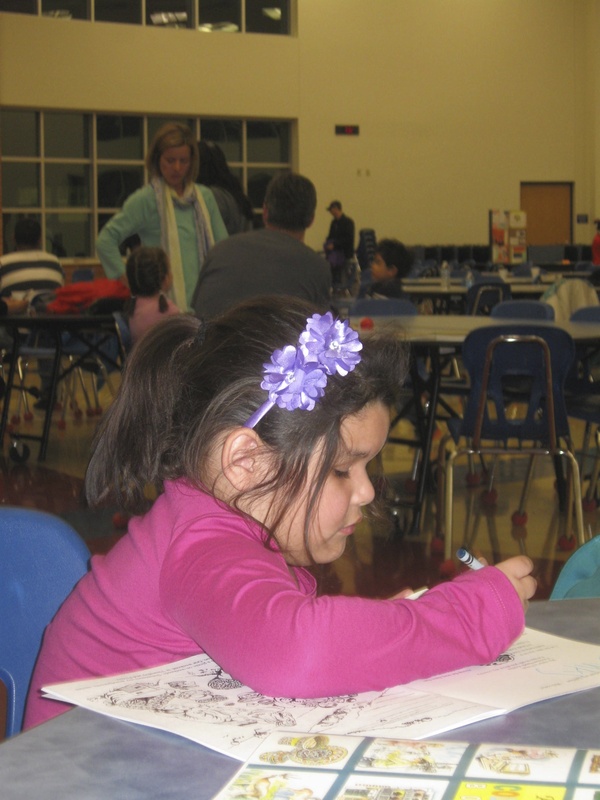 Finally, most took a seat and a coloring book and began their work of coloring and relating to children far from their own schools and homes. 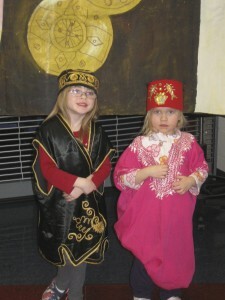 One of the most popular items in the Habiba Foundation’s traveling display is trying on traditional Arab clothing.